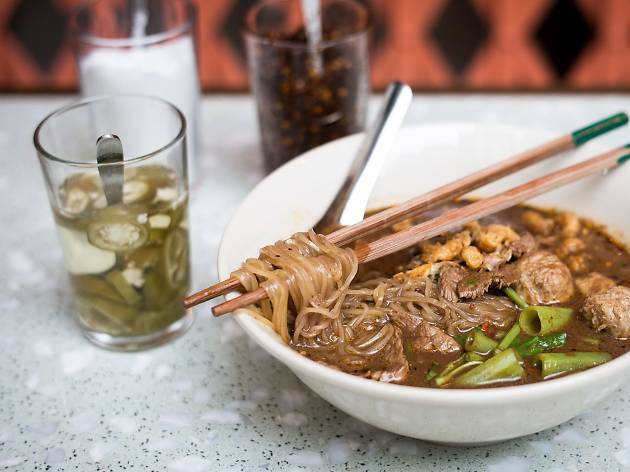 Chef Adam Cliff's take on Thai street food is a step above other such restaurants in Wan Chai, but without hurting the bank balance. On the whole the food remains true to its origins but with a few tweaks. 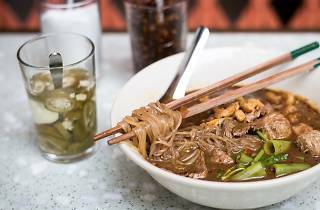 The generous bowl of wagyu beef boat noodles with crunchy topping is a must-try, and the desserts are also impressive, using lots of fresh fruit and homemade ice creams. No reservations here, but you can head off for an aperitif and they'll call you when your table is ready.